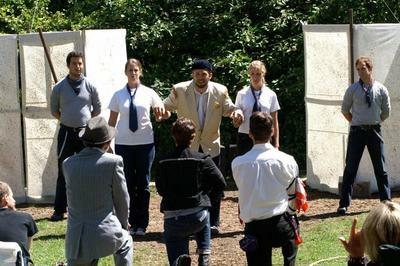 L-R (back): Anthony Black, Suzy Crocker, Nathen Bender, Caitlin Stewart, and Adam Bayne. L-R (front): Tom Scott, Amos Crawley, and Ryan Whalen. Photo by Sabrina Russo.